Rochester, N.Y. – Two Rochester business owners were arrested for food stamp fraud, totaling more than $20,000, according to the New York State Inspector General Catherine Leahy Scott. Nabil Saeed, 58, the owner and operator of Discount Food Market at 752 Avenue D and Kamalaldain Ahmed, 55, the owner and operator of Hudson Best Mini Mart at 1004 Hudson Ave., both of Rochester, were arrested and charged with misuse of food stamps. The two men are accused of illegally exchanging food stamps for cash from January 2013 and May 2015. Clinton to Unions: Pick Me! ADDIS ABABA, Ethiopia (AP) – Could President Barack Obama win a third term in office? He’s convinced that he could, but would really rather not. 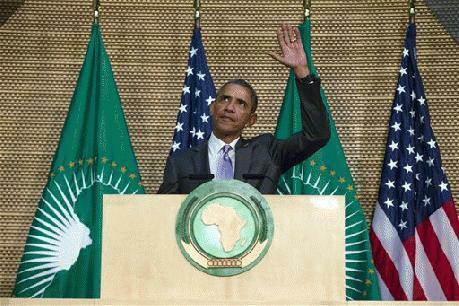 Obama used his own history of electoral success to rib African leaders who overstay their welcomes by refusing to leave office after their terms expire. In his speech Tuesday at the African Union headquarters, he conceded unfamiliarity with that concept because as a second-term U.S. president, he’s constitutionally barred from running again. Cathy Young comes across in her District as a down-home, one-of-us neighbor who goes to Albany to do good works. I do think she shares most of our values on the Second Amendment and otherwise. Having said that, she has become a fixture in the Albany Establishment and has now transcended being just a senator from the southern tier to being part of the Albany political Establishment. I expect to see her take on additional titles and trappings soon. The current troubles began after Dean Skelos, the former GOP Leader in the Senate, was indicted this Spring, the Republican Senators had to elect a new Leader. They elected John Flanagan, and that has ignited a problem for them in Upstate. Before we get to today’s important story on how wheat products (breads, pastries, pasta, etc.) are routinely contaminated with cancer-causing glyphosate herbicide, I have to chime in on something else. I have publicly condemned the American dentist who killed Cecil the Lion as part of his “trophy hunting” escapades using a crossbow to kill intelligent, conscious animals like lions and rhinos. “Trophy hunting” is an abhorrent, despicable activity, and I want you to join in the effort to send a message to this dentist that murdering beautiful animals in Africa does NOT make you a big man! Now, for the main story, did you know that your wheat-based foods are often doused with toxic glyphosate weed killer? If you’re eating non-organic wheat products such as breakfast cereals and breads, you’re probably eating cancer-causing glyphosate!